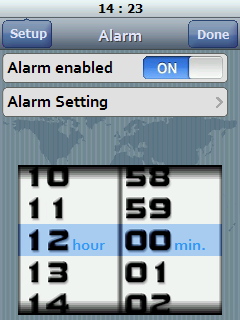 Touch Alarm- The program, as you can see by its name, is an alarm and thanks to iPhone-style does not require a stylus and can be used with your fingers. The operation is very intuitive, with a few clicks it is possible to set different timers at will. Timers set but not going to replace the 3 already present in Windows Mobile, but are handled directly by the application.